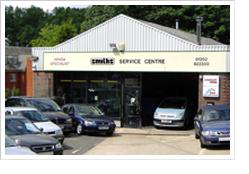 Car repairs, Servicing and MOT, Fleet - Smiths of Fleet Ltd. Welcome to Smiths of Fleet Ltd. in Fleet. We are a local, independent garage, serving Fleet and the surrounding area. We have a range of top quality batteries in stock! Worried something is wrong with your car? Our reliable team can diagnose the problem. Keep you and your family safe. Get your car tested for peace of mind! We carry out services to meet all your needs from an oil & filter change to a major service. Advice and replacement avaiable here! No need to be without a car - we have courtesy cars available for your use. Worried something is wrong with your car? Our experienced team can help. If you can feel vibration in your car, we can balance your wheels and deliver you a smoother ride. Welcome to Smiths of Fleet Ltd.. We are a local, independent garage, serving Fleet and the surrounding areas.